100 Things Padres Fans Should Know & Do Before They Die, by Kirk Kenney (Triumph Books, Chicago, Illinois, 2016, 269 pages). May 3, 2016 (San Diego’s East County) - Baseball has been called “America’s Pastime,” and for those who have played or enjoyed watching the game as I have, they will absolutely fall in love with the book by Kirk Kenney; 100 Things Padres Fans Should Know & Do Before They Die. With a foreword by former San Diego Padres’ pitcher Randy Jones, this book resurrected many of my childhood memories and dreams about actually playing in the Major Leagues. October 21, 2015 (San Diego) - A stretch of Interstate 15 through Poway has been renamed in honor of Tony Gwynn, the former San Diego Padres Hall of Famer who died of cancer in 2007. October 13, 2015 (Sacramento) - We see it every time we watch baseball: bored players in their team sweatshirts chewing tobacco during an at-bat or sitting in the dugout. Even managers are caught on camera spitting out tobacco juice, providing far-from-exemplary role models to youthful fans. April 28, 2015 (Sacramento) – The tobacco industry has succeeded in snuffing out strict limits proposed on tobacco at ballparks. Legislators on the Assembly Governmental Organization Committe, many of whom took hefty contributions from tobacco interests, voted overwhelmingly to water down a bill that originally would have banned all tobacco products at every ballpark in California—from Little League to Major League ballparks. June 24, 2014 (San Diego)--The death of baseball giant Tony Gwynn at only 54 years of age has drawn national attention to the dangers of chewing tobacco. Gwynn had suffered through surgeries and paralysis of part of his face following cancer linked to his habit of chewing tobacco – a custom shared by many baseball players as well as 9% of all high school students nationwide. June 17, 2014 (San Diego)--Baseball legend Tony Gwynn passed away on Monday, June 16th at the age of 54. The former San Diego Padre and Aztecs baseball coach lost his long battle with cancer after years of fighting. Gwynn was diagnosed with salivary gland cancer in February of 2007 after being inducted into the Baseball Hall of Fame. In 2001, Gwynn, properly nicknamed “Mr. Padre,” retired from the major leagues having been awarded eight National League batting titles and five Gold Glove awards, as well as having a statue of his likeness erected at Petco Park. 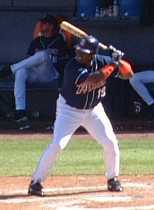 In addition, according to the Union Tribune, Gwynn, a 15-time All-Star, “holds the Padre career record in virtually every non-slugging category, including 2,000 more hits in a San Diego uniform than anybody else and 19 straight seasons with an average of .300.” He also took the Padres to their only two World Series appearances in the history of the team. February 23, 2012 (San Diego) -- On Feb. 17, the San Diego State University baseball team began its 2012 season at Tony Gwynn Stadium on the campus of SDSU against the University of Washington. With the start of the highly anticipated season came a special honor. SDSU made it known that no member of the baseball program will ever wear the No. 37 again. That was the number of former Aztec great and current Washington Nationals pitcher Stephen Strasburg. That number is now retired.